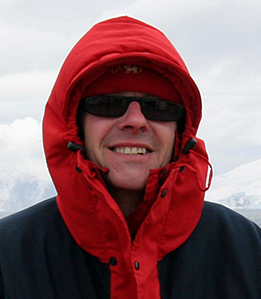 Paul is Professor of Deep-Sea Biology at the University of Southampton and the Principal Investigator on the programme ‘Chemosynthetic ecosystems south of the Polar Front: Ecology and Biogeography’. He is also the Chief Scientist on JC080. Paul has 35-years experience working in the deep-sea having participated in over 60 cruises and completed over 80 submersible dives. His particular interest is reproduction in deep-sea animals but also the mechanisms that establish and maintain their populations. 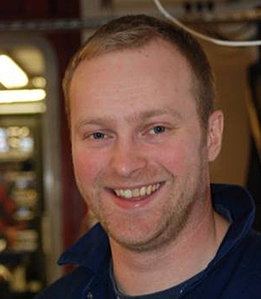 He has worked on hydrothermal vents and cold seeps, cold-water coral reefs, abyssal plains and in submarine canyons in all oceans of the world and was CoPI on the first UK ROV exploration in Antarctica. 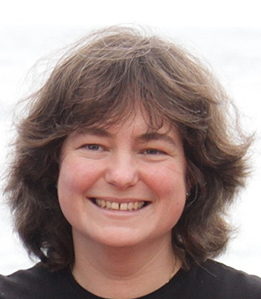 Belinda works at NOC in the Marine Geosciences group and over the years has taken part in nine research cruises. This will be her second visit to the East Scotia Ridge and she is really looking forward to working with ROV Isis again. On this cruise she will be sampling high temperature (up to 400°C!) and diffuse hydrothermal vent fluids using titanium sampling syringes. She will also help with water column samples taken with the CTD. Some of their geochemical analyses will be conducted onboard, but they will also take sub-samples back to NOC to make further measurements. When not working in the lab she is hoping to have sightings of icebergs, humpback whales and penguins around the ship. 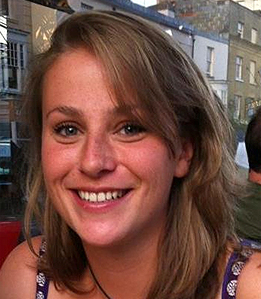 Diva is a final-year PhD student jointly based at the University of Southampton and the Natural History Museum, London. Her PhD is on the weird and wonderful animals found living on whale skeletons and dead trees in the deep sea, and also how they interact with their unique habitat and with each other. On this voyage, Diva will be revisiting a whale skeleton discovered in 2010, as well as, collecting some wood experiments that were placed on the deep-sea floor. Diva will also be struggling to keep warm on this icy voyage as she grew up on the sunny hot isles of Trinidad and Tobago in the Caribbean. 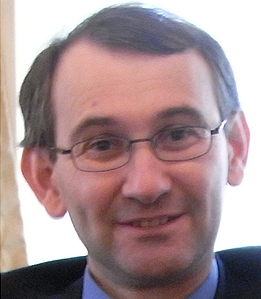 Alfred is a geochemist at the University of Southampton. His primary interest on this cruise is to collect sediment and mineralised chimney samples from the Kemp Caldera and the newly-discovered Adventure Caldera. Geochemical characteristics will be used to (a) estimate the extent of hydrothermal influence in areas of diffuse flow, (b) investigate mechanisms of sulphur cycling and (c) determine the history of volcanic-hydrothermal events in these settings. This is Alfred’s third voyage to these sites and in his free time, he will be enjoying the interesting wildlife that will be around the ship. 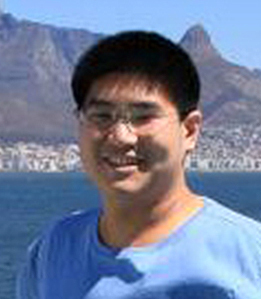 I am a DPhil student in the Department of Zoology and Merton College, University of Oxford. I have a great interest in molluscs of the deep-sea benthos, with a special interest in those associated with chemosynthetic environments. My research focuses mainly on gastropods (snails) inhabiting hydrothermal vents. I am currently using genetic approaches to investigate evolution and connectivity of vent gastropods found in Indian and Southern Oceans. In addition, I am describing several new species found at these vents. This voyage is my first visit to Antarctica and the East Scotia Ridge, and I am very excited to see the vents in real time. I am also looking forward to seeing and taking photos of penguins, whales, and Antarctic scenery in general. 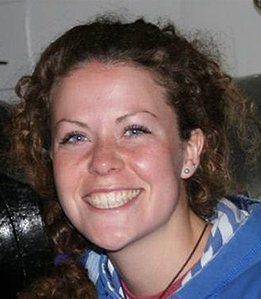 Cathy is a final-year PhD student from the University of Southampton. She is fascinated by the ability of vent-living animals to tolerate the poisonous cocktail of toxic metals and chemicals released from the vent chimneys. Cathy will be sampling these high-temperature, metal-rich fluids for analysis of their chemical characteristics, as well as collecting some of the animals that thrive here. Back in the lab she will investigate how these extraordinary creatures detoxify metals on a molecular (protein) scale. This is Cathy’s second research cruise on board the RRS James Cook and she is looking forward to using the ROV Isis for the first time. Matt is a geochemist based in Ocean and Earth Sciences at the University of Southampton at the National Oceanography Centre, Southampton. This cruise is something of a return to his roots as his PhD was on the chemistry of hydrothermal vent systems on the Mid Atlantic Ridge. That was also when he took part in his last cruise (over 14 years ago now!) studying the plume chemistry of the Rainbow site. That cruise was before the ROV was available so he is looking forward to being able to see hydrothermal vents for the first time with Isis. On this cruise, he forms part of the chemistry group sampling the hot and also diffuse fluids from the vents as well as the minerals that for the chimneys and the plume water and particulates. 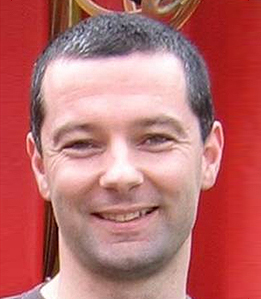 Doug is a geochemist working for the Natural Environment Research Council at the National Oceanography Centre, Southampton. Over the past ten years, Doug has discovered new hydrothermal vents in every major ocean. This voyage is his fourth to the Antarctic region. Doug’s particular aim during this voyage is to collect samples to find out what chemical provide the food for all the animals living in these vent ecosystems. Doug comes with three of his PhD students, Jeff, Cathy and Ali. When not working, Doug dominates the scrabble championships on the ship. 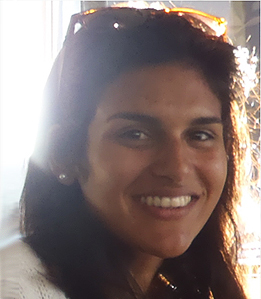 Anni is a postgraduate research student working on the general microbial ecology of seamounts in the South West Indian Ocean and hydrothermal vents at East Scotia Ridge. She is particularly interested in how microbial communities are comprised, how they change with time, environmental and biological factors, and how they affect other biological and elemental constituents of the marine ecosystem. Anni will be working with water samples containing microbes and particulate organic matter collected with the CTD during this voyage. This is her first voyage to the Southern Ocean and she can’t wait to see icebergs from the first time. 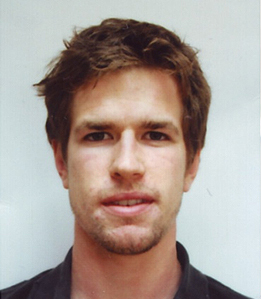 Jeff is a geochemist - he studies trace element cycling in hydrothermal systems as part of his PhD at the University of Southampton. I originally grew up near Cambridge and studied Chemistry at the University of Bristol. This cruise, I'll be focussing on the carbon cycle in the hydrothermal plumes and diffusive areas that we encounter. I'll also be looking at how vent sourced metals affect the dissolved organic matter. In his spare time, Jeff will be entertaining the ship with his excellent guitar playing. 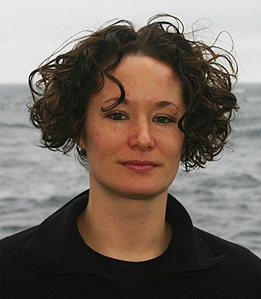 Jane is a marine molecular microbiologist working for the British Antarctic Survey. Her research interests are in understanding the diversity and function of microbes in the ocean and how this relates to their role in biogeochemical cycles. Chemosynthetic bacteria provide energy to deep-sea hydrothermal vent ecosystems and support life there, many of these bacteria are found in symbiotic relationships with invertebrates such as crabs, snails and barnacles. During this cruise she will be examining the identity, location and activity of bacteria living on or within deep sea hydrothermal vent fauna. 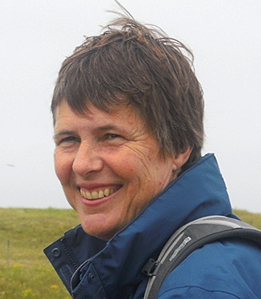 Veerle Huvenne is a marine geoscientist from the National Oceanography Centre Southampton, specialising in deep-sea habitat mapping, especially of complex environments such as submarine canyons, cold-water coral reefs and hydrothermal-vent fields. To achieve this, she often works with underwater vehicles (ROVs – Remotely Operated Vehicles and AUVs – Autonomous Underwater Vehicles). On this expedition, she will be using both ship-borne and ROV-borne acoustic systems (multibeam echosounders) to create detailed bathymetric maps of the vent fields and their surroundings. Combined with information derived from the video recordings, this will allow the science team to get a good idea of which biological communities live where in relation to the chimneys and areas of diffuse flow. In addition, the maps form the basis for ROV dive planning and the identification of sampling sites. While keeping an eye on the acoustic data coming in, Veerle is often spotted busy with a collection of wool and a set of knitting needles (anything from 2 up to 7 needles at a time…). 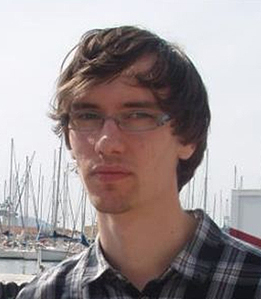 Alastair is a 1st year PhD student in the Geochemistry department at the University of Southampton. 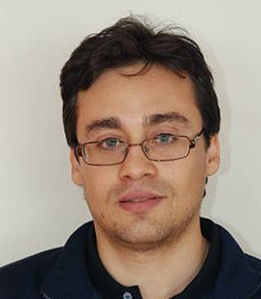 His research is on biogeochemical processes that supply iron to the oceans, specifically iron sourced from hydrothermal systems, diagenetic processes in continental margin sediments and the use of stable isotopes as tracers of geochemical processes. On this voyage, Alastair will be taking samples from hydrothermal-vent systems including vent fluids erupting from hydrothermal chimneys as well as sediment and rock samples in order to examine the geochemical and mineralogical profile of the different vent systems. He will analyse iron isotopes and iron mineralization in the vent fluids and sediments via ICP-MS and sequential chemical extraction techniques. This work will help to estimate the importance of hydrothermally-derived iron as a photosynthesis-limiting micronutrient for high-nutrient low-chlorophyll regions such as the Southern Ocean. 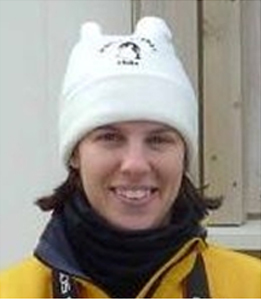 Katrin Linse is a marine biologist working for the British Antarctic Survey. For over 15 years she has studied the benthos of the Southern Ocean from the nearshore subtidal to the abyss and has a good knowledge on the marine animals living on the Antarctic seafloor. 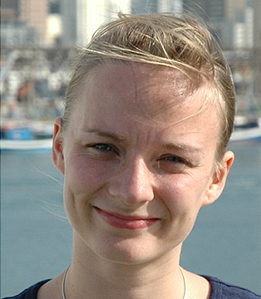 Katrin’s research focus is on the biodiversity, phylogeography and evolution of Antarctic marine invertebrates. 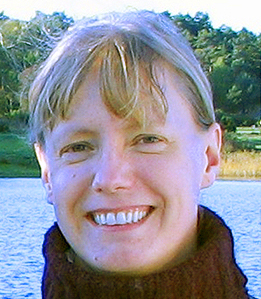 Her biogeographic studies have redefined the Antarctic biogeographic provinces and regions. She has studied the molecular phylogenetic relationships of several Antarctic invertebrates and been involved in the discovery and description of new and cryptic species in the groups of bivalves, gastropods, amphipods and stalked barnacles. In ChEsSo Katrin is “Master of the macrofauna” by holding the specimen database and coordinating the descriptions of the species new to science in collaboration with the taxonomic experts. She is describing the gastropod and bivalve species discovered at the vents and studies their phylogeny and ecology. When not organising data, labels and sample-sorting teams, you will see her taking photographs of animals or knitting European-style with round needles. 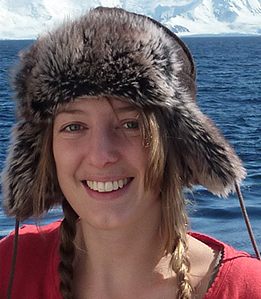 Leigh is a marine ecologist in the final year of her PhD studying at the University of Southampton, based at the National Oceanography Centre. There are two main research focuses to Leigh’s PhD, working with ROV HD video footage to create image mosaics of entire chimneys to investigate the patterns and distributions of animals living at the hydrothermal vents in the Southern Ocean and to examine the life history biology of key taxa for example, the hairy crab Kiwa n.sp. Leigh is also interested to see if there have been any changes to the fauna at the E2 and E9 vent fields over the past few years, and specifically has her eye on the seven-armed seastars that have only moved a matter of centimetres from previous cruises. Will is a marine ecologist whose work involves investigating how animals interact, what they eat and in turn how communities are structured. He has worked on a variety of deep-sea habitats, including continental slopes, seamounts and mid-ocean ridges, from the North Atlantic to the Antarctic Peninsula. He always enjoys coming back to the Southern Ocean as he spent two years working on South Georgia, sharing the island with its fantastic wildlife. Many of the animals including the giant petrels and albatross as well as fur seals and penguins will be around the vessel for parts of the trip so it will be like seeing old friends. But his research focus on this cruise will be collecting animals from the various hydrothermal vents that we visit. The aim will be to get a better understanding of what these animals eat. Microbes form the base of the food chain at hydrothermal vents instead of phytoplankton so he'll be working closely with the microbiologists throughout the cruise in order to unravel the mysteries of the hydrothermal vent food web. 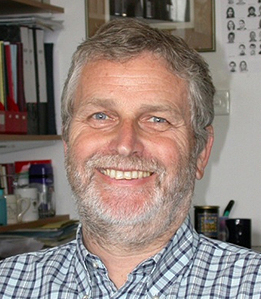 Chris is a marine ecologist from Newcastle University. On this cruise his task (along with his partner in crime, Will Reid) is to understand the “who eats who, why and where”. For example, to what extent are animals sustained by plankton sinking dead from the sea surface or the bacteria growing on the chemical soup exiting from the vent chimneys? Or which species is the top predator and how does feeding change as animals grow, move or mature? Surprisingly he is not a deep-sea scientist specifically. He has worked on feeding behaviour in animals from the shallow coral reefs of the Gulf of Oman in the tropics, to the polar sites we are are visiting here in the deep Antarctic. His main tool of choice is stable isotope analysis of carbon and nitrogen which act as markers of diet. "Isotopically you are quite literally what you eat! So in that case I’m a pecan pie which has been by far my favourite meal so far on the ship. I plan to pass any spare time by dusting off my sketchbook." Jenny completed her MSci. Oceanography at the University of Southampton in 2011. For her fourth-year dissertation, she worked with Doug Connelly, looking at particulate metal fluxes from hydrothermal vents at both the E2 and E9 segments of the East Scotia Ridge but also the Von Damm and Beebe vent sites in the Cayman Trench. Since graduating she has been working with Rachel Mills as a lab assistant on multiple projects at the National Oceanography Centre, Southampton. My role on this cruise is anything within the chemistry team, gaining experience for future applications whilst getting to see where my dissertation samples came from in person. Amanda is the cruise data manager. On all scientific voyages, a mass of data is generated and when we come to look at it again in some months time it all has to make sense and to be easily read. Amanda is there to ensure this. She is a physical oceanographer by training and now is IT Systems Manager in NOCS IT group. I am a postdoc at the Natural History Museum in London, working with the taxonomy and systematics of polychaetes. These are marine worms related to earthworms, and there are around 12-15000 described species in the sea. Many of the species we find in the deep sea are new to science so we have to describe them and give them names. We also want to know how these worms are distributed in the oceans, if they are widespread or occur only locally. On this cruise, I focus on polychaetes that are specialised on hydrothermal vents and whale falls, and compare the samples we find here in the Southern Ocean with samples from those kind of habitats in other ocean basins, to see if these small worms are capable of moving over large distances to find new homes. This is Helena’s first journey to the Southern Ocean but second voyage aboard the RRS James Cook. 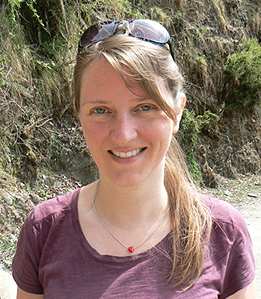 Clare Woulds is a lecturer in the School of Geography at the University of Leeds. Her research focuses on understanding the biology and chemistry of seafloor sediments, and how they interact. She is particularly interested in the way that organic carbon and nutrients are consumed and passed up the food chain by organisms which live in the sediment, and how this faunal activity affects the amount of carbon that becomes buried. 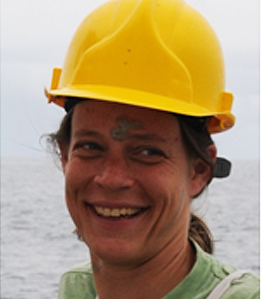 Clare has worked extensively at low oxygen sites in the Arabian Sea and in European estuaries. She is now excited to be working at Southern Ocean hot vent sites, with their distinctive biology and geochemistry. When Clare isn’t working, she enjoys ballet and gardening – neither of which are particularly easy to pursue on the ship. Read about the recent trials cruise of the newly rebuilt Isis and find out more about the Isis team.